When space is limited you want to maximise as much storage room as you can, that’s where a trackless mobile system comes in; easy installation, little upkeep and reduces trip hazards. 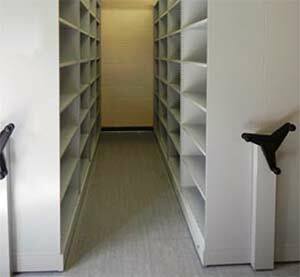 The great thing about trackless mobile storage is its versatility, whatever your need, it can be combined with a whole range of different shelving systems which best suits you. Because the system does not rely on tracks this also means that it is more hygienic and easier to clean than other mobile storage systems, paramount in places like food and pharmaceutical companies. So what are the features and benefits of a mobile trackless storage system? 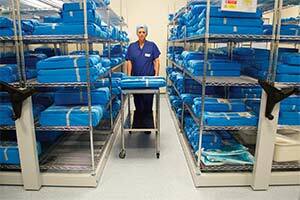 Biocote anti-microbial technology is incorporated as standard on all mobile storage units. 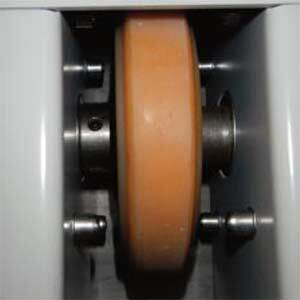 How does the trackless mobile storage work? Unlike most mobile storage system, the trackless one does not rely on having to use tracks screwed the floor. 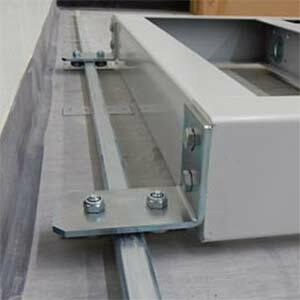 This means that the trackless is easier to install with little disruption to the environment. A guide rail is installed to the floor next to the wall, this acts as a guide making sure all the carriages are aligned correctly. What is Biocote? And how does it benefit me? Biocote is a silver ion-based technology which is incorporated into the paint that goes on all of our trackless mobile storage units. Biocote reduces bacteria levels by 99% within 2 hours which makes these units ideal for healthcare and hospital environments as well as the food and pharmaceutical sectors.